November 8, 2018 (DES MOINES, IOWA) — The Iowa Economic Development Authority (IEDA) today awarded Uptown Marion Main Street a $75,000 grant for the Owen Block. Brooke Prouty represented the Uptown Marion Main Street Organization at the event. Twelve other Main Street Iowa communities also received grants. 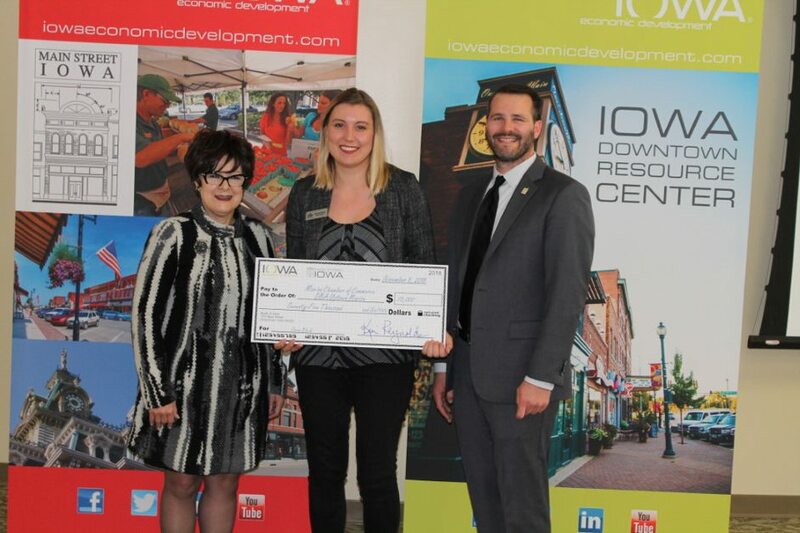 The grants are administered through IEDA’s Iowa Downtown Resource Center and Main Street Iowa programs. The funding will be distributed in the form of matching grants to the selected Main Street programs. The estimated total project cost of these 13 projects is over $8.7 million. The Challenge Grant program is funded through an appropriation from the Iowa Legislature. Since the first appropriation in 2002, approximately $9.6 million in state and federal funds have leveraged more than $57 million in private investment. Over the life of the program, 165 projects in 53 Main Street Iowa commercial districts across the state have received funding. 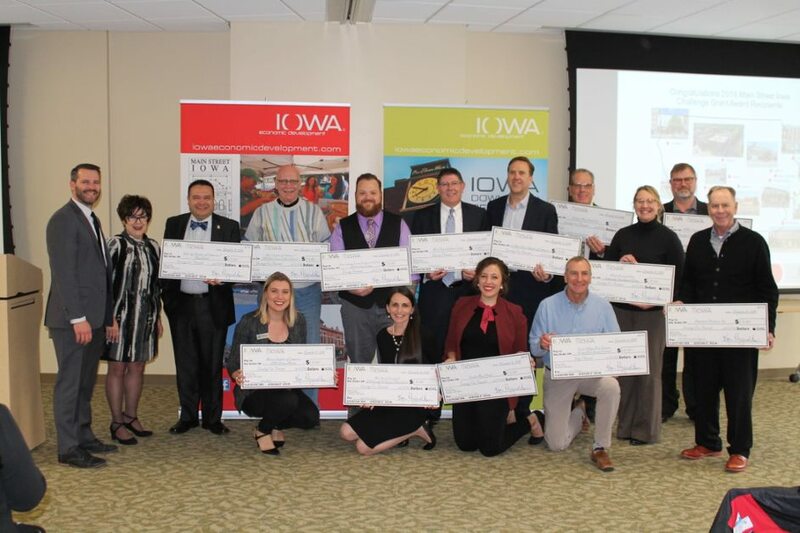 Photos of recipients will be available at iowaeconomicdevelopment.com/IDRC/MainStreetIowa after November 13, 2018. For more information about the Main Street Iowa Challenge Grant program, contact Michael Wagler at 515.348.6184 or mainstreet@iowaeda.com.